For a mom with two kids who both have eczema - I am most of the time desperate in finding a solution to ease my kids' skin conditions. I would try ANYTHING just to ease their skin asthma, anything. I've tried so many soaps, lotions, steroid creams and found not one thing that can be the ultimate solution. Just recently, I've found lotions that helped manage my Kailee and Connor's skin asthma. Around the same time months ago, I received a message from a friend, she said that she would send me some Konjac sponge to try on the kids. I remember being told by the Pedia-Dermas not to use anything on the kids's skin while bathing. No towel, no washcloth to rub on their skin - just use our hands and soap. Wash cloths they say will make the skin dry and the friction of rubbing may cause rashes in the skin - so I never used anything on them. But with this product, my friend Czen (and also Atchi Pao) told me that these sponges are safe for babies and kids - I was very willing to try it on the kids. I was just crossing my fingers that nothing bad would come out of it! 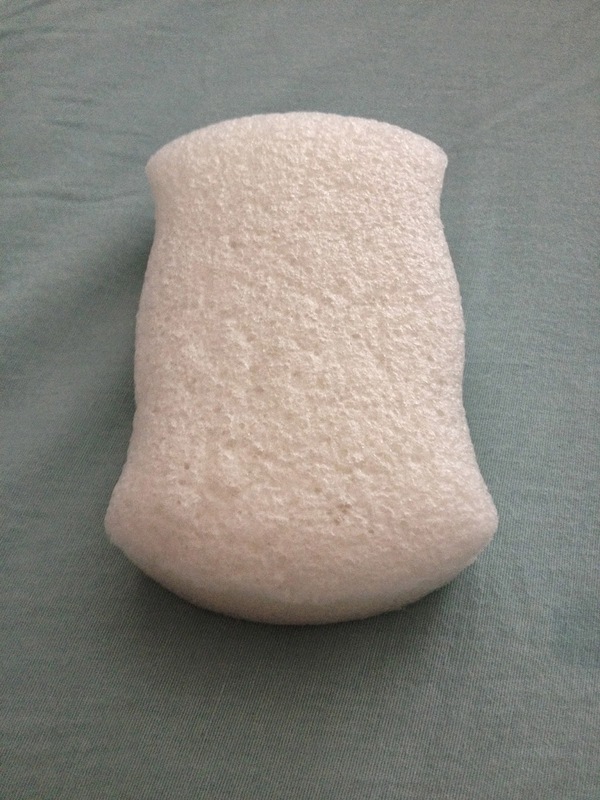 I am very happy to share to you that this Konjac Sponge has HELPED my kids' skin condition. They've had less and less flare ups, their skins are softer and smoother. Connor in particular has much much smoother skin on his back. Kailee has less rough patches on her arms. I attribute these improvements to the Konjac Sponge. 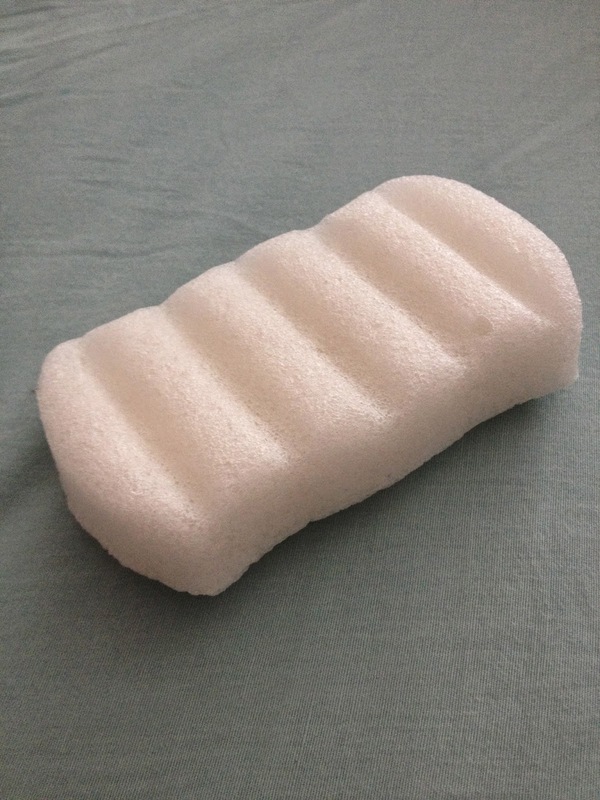 When I asked the Yayas to use the Konjac Sponge, I didn't tell them what it was for. I just told them to use it on the kids when they took a bath and they did. After a week, I already saw improvements - but I still did not mention anything to the yayas. I wanted to wait for the Yayas to tell me their feedback. Then a few days ago, Connor's Yaya told me that she thinks the sponge has helped soften the skin of both Kailee and Connor. In her own words she said 'Ma'am sa tinging ko, nakatulong yung sponge na ipinagamit niyo, mas hindi na magaspang yung likod ni Connor at yung balat ni Kailee mas gumanda and lumambot' (Ma'am, I think the sponge you gave us to use on the kids' bath helped. Connor's rough skin is no more and Kailee's skin is better and softer) It was only then that I told them that the sponge was really to help the skin asthma. I didn't want to jinx the product to be honest - and I am very happy that it didn't! So, how does the Konjac sponge work? Well, the sponge balances the PH of the water before it touches the skin. So when you rub it on your body - the water is already 'balanced'! Yes, it's that simple, and I swear - I had no idea that the PH level of the water mattered - but it does, pala! I'm so happy to have found a more natural alternative to medicines and steroids! If course, I still use lotions -but I use them less now. I don't need to buy them in bulk! This product saves me money too! Seriously! I have finally found a regimen that works for both my kids. This Konjac Sponge for they they're taking a bath and the other lotions that I featured recently TruKid Face and Body Lotion and Grandma El's Lotion. 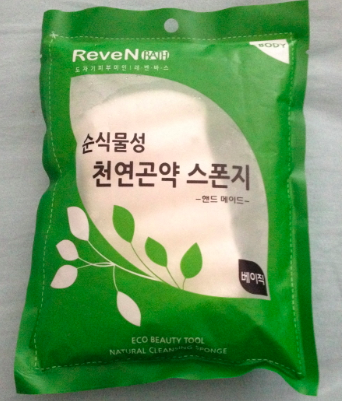 Thank YOU Czen for sending me the Konjac Sponge. I will surely buy from you next month! Thank you for bringing in this products - it is really a gigantic help to me and most especially the kids!! For those who are interested to try this product - Konjac Sponge, please visit the Facebook Page of The Updated Trends to see how you can purchase one. I really hope that it gets to help your or your child's eczema. This looks really interesting! I've been battling eczema and back-ne since I was young. I might just try this. Thank you for sharing! Please do try, as it might help you!! Thanks for this post my dalaga has back-ne, I will surely had one for her. I do hope you can try this product as it might help your daughter's back-ne! Good luck!